It’s a big week in Birmingham, Alabama, starting with Thanksgiving, Black Friday and the Iron Bowl on Saturday, when rivals from The University of Alabama and Auburn University vie for the state championship and year-long bragging rights. So, let’s do a quick recap of what we have to be thankful for this Thanksgiving, beginning with just a few of the reasons we LOVE living at the Retreat at Mountain Brook. Nestled against a neighborhood like no other – Mountain Brook, Ala.
Black Friday at Local Malls –The Galleria, The Summit and The Brookwood Village Mall will be open for Black Friday sales. Take a Photo with Santa –November 10 through December 24, head over to Bass Pro Shops in Leeds to see Santa. Take a FREE photo with him in Santa’s Wonderland! North Pole Pop-Up at The Summit: Starting on Black Friday, stop by The Summit for photos with Santa, locally-made candy, boutiques and more. Brrrmingham Ice-Skating Rink Opening Day –Not interested in a great deal on some shoes? Just want a family day? Enjoy Birmingham’s only outdoor ice-skating rink at Railroad Park. The rink opens at 10 am. Buy tickets in advance here. Christmas cards – Sure, you can pick up a box at the drugstore. Want your pup or kids on the front? You might consider Village Press in Mountain Brook Village. They’ve been doing something right since 1965. Get a ride – Want to avoid the traffic but take in the fun? Try a ride with UBERor LYFT. Where to watch: Iron City, SkyCastle and other sports bar faves in town. If you’re interested in gaming while you watch the game, check out the new Dave & Buster’s at the Riverchase Galleria! Grand opening is Monday, November 19. Druid City Music Hall is hosting a free Iron Bowl Gameday Party with doors opening at 11:00. Plan on staying in on Thanksgiving? Be sure and snuggle up with a Sherpa Throw from Target, or a faux fur comforter from nearby Pottery Barn at the Summit, both just a short drive away from The Retreat at Mountain Brook, a/k/a home sweet home? 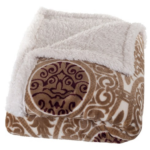 These cozy comforters offer up a stylish way to stay warm, while adding to the warmth of your décor. 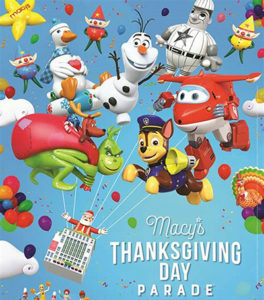 And, nothing says Thanksgiving like watching the Macy’s Day Parade to really get into the holiday spirit. Or, if TV is not your game, treat yourself to a good read and a premium bottle of wine from R & R Wine and Liquor in Crestline Village, about 12 minutes away from The Retreat at 81 Church St, Mountain Brook, AL 35213. Here’s a recipe for a great party dip. You’re welcome.